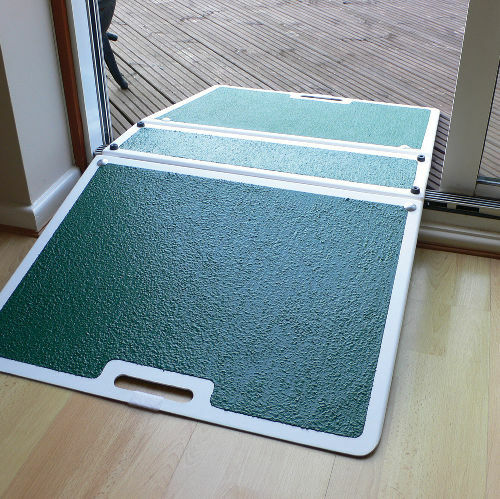 An ideal product for overcoming UPVc door frames or patio's. 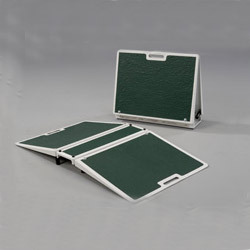 The folding threshold ramp is placed on adjustable feet enabling it to vary between a height of 3" to 5" suitable for placing over a threshold of up to 8"
Length - each side is 508mm (20") with a (178mm) 7" middle platform. 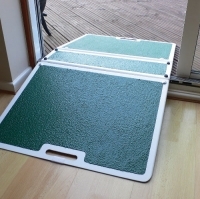 Sturdy piece of kit that overcomes thresholds for extra wide wheelchairs. I'm tempted to get the narrower version for internal doors.